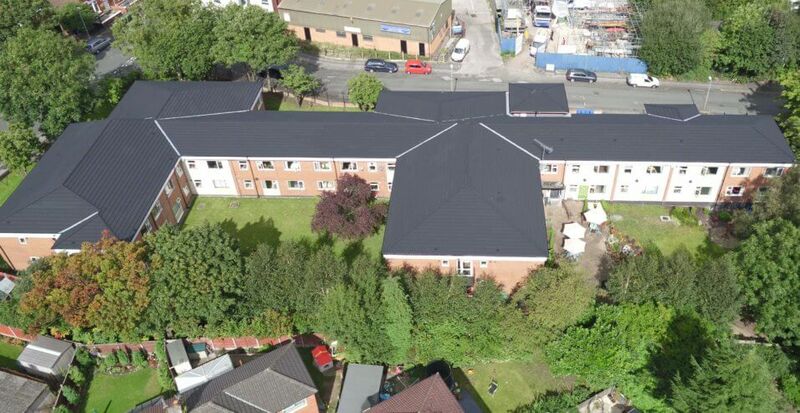 Here at Dibsa Structures Ltd we were commissioned by a local Housing Association to produce a design for a flat to pitch roof conversion for one of their buildings. 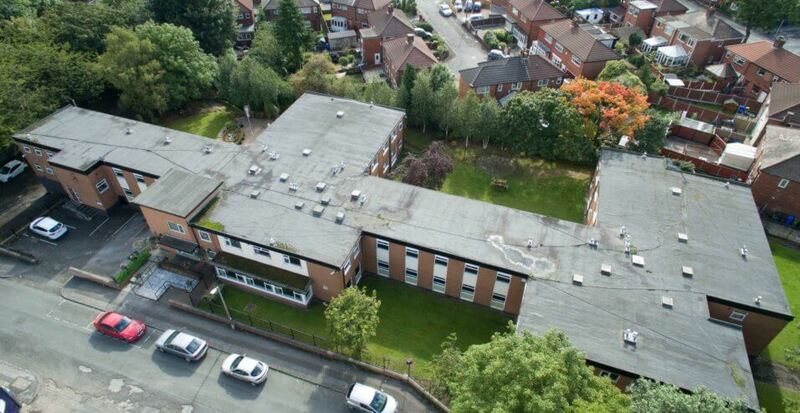 This provided us with a few challenges due to the shape of the building, varying widths and heights. The end design looks fantastic and by incorporating hips and valleys we have produced a cohesive design that has dramatically improved the aesthetics of the building. 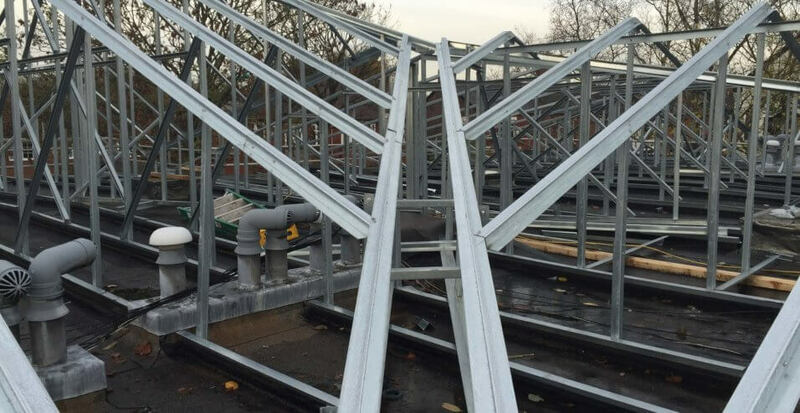 The Dibsa lightweight steel structure was expertly installed by Hi-Spec Solutions Ltd of Manchester. They completed the new look by installing a Decra Strip Tile roof covering on top of our structure. Problematic roofs like this one are endemic throughout the country and in all sectors of business. Building owners and schools are suffering as a consequence of fundamental inadequate designs since these buildings were constructed. 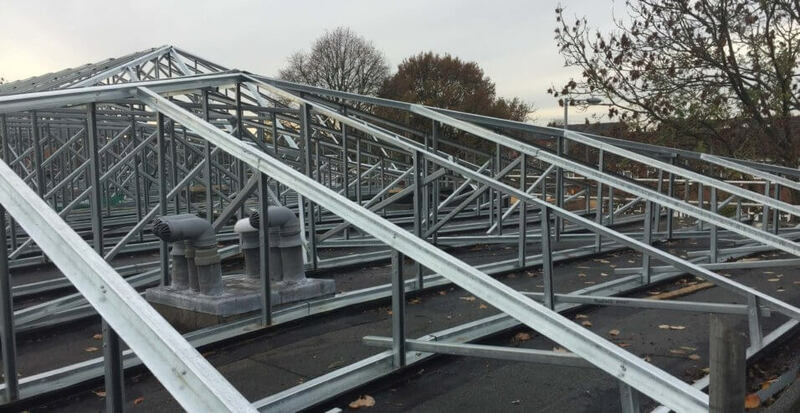 Installing a Dibsa lightweight steel flat to pitch roof structure such as this one here at Ryefield House over your existing flat roof whilst the building remains fully occupied and operational is the ultimate environmentally inspired method of refurbishment. 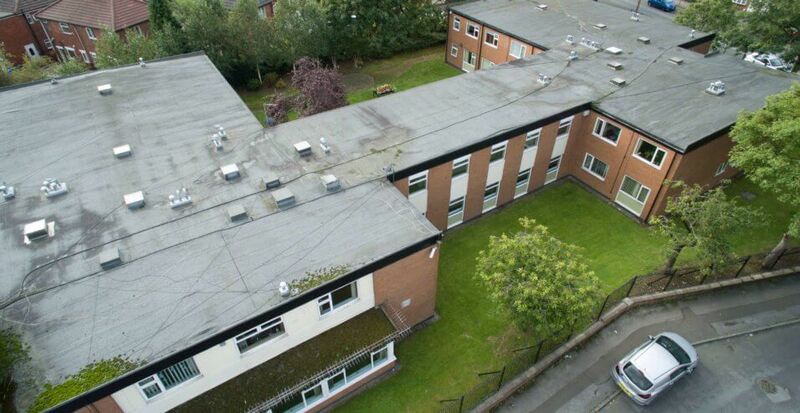 Costs for this type of solution, over a forty year period compared with a series of flat roof repairs and covering replacement, can be really attractive due to being almost maintenance free for the duration of the life expectancy of the roof, combined with the savings that can be afforded from savings in heating costs due to the improved insulation of the roof. In fact the results of a flat to pitched roof conversion will be substantial and far reaching, with benefits including Thermal, Aesthetic, Acoustic and Internal Environment improvements combined with the Psychological, Economic, Life Span, Construction, Maintenance and Environmental performance benefits which all culminate from this solution. 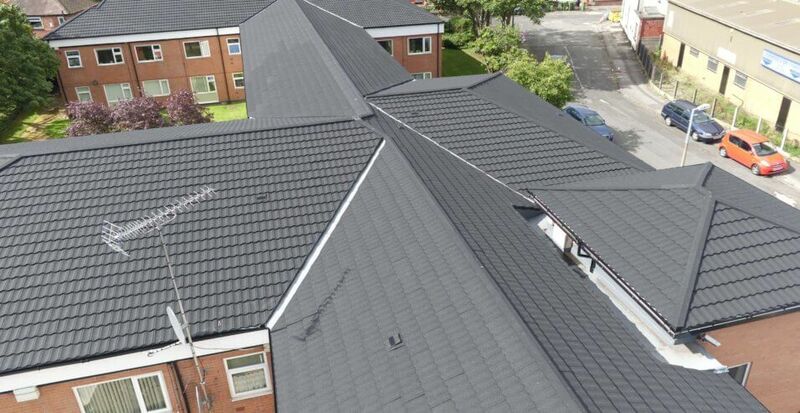 If you have a roof that would benefit from our flat to pitch solution than please do not hesitate to give us a call.